Getting a baby crib can be challenging. On the one hand, there are so many options you need to consider that you may end up feeling baffled. On the other, you have to make sure that the product you are spending your cents on is exceptionally safe and does not endanger the health of the child. All of this does not mean that the crib has to be ugly for it to be functional. There are some models that can tie any room together, and we’ve done our best at showcasing them below. As one of the most convenient and nice-looking products in this line, the Delta Children Ava should definitely be on your list. It can be converted from a toddler bed to a daybed, and since it is made from reliable and sturdy wood, you have nothing to worry about whether it will withstand the test of time and a little bit of abuse. Although the mattress is sold separately, once you get the one compatible with this model, you will be able to set its height in three individual positions, depending on the age of your child. This unit was certified by ASTM, JPMA, and CSPC and no toxic elements or lead have been used in its development. One of the coolest things about this crib is that it is portable. It comes equipped with casters, which means that you will have no trouble whatsoever moving it from one room to the next. Besides, much like the Ava model we’ve also mentioned in this selection, this one can convert to a toddler bed, as well as a daybed. You do have to purchase the toddler bed conversion kit separately, though. 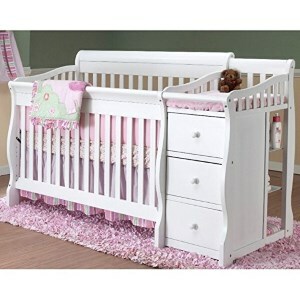 It’s a convenient and eye-catching crib that will look nice no matter the room you decide to set it up in. It’s available in a wide range of colors and has been constructed from 100% sustainable New Zealand wood. It meets ASTM and CPSC standards. The neat thing about this choice is that, while it might seem to cost a pretty penny when compared to some of the others you’re likely to come across, it doesn’t really. In fact, it is one of the few alternatives that includes the mattress, so you’ll definitely get your money’s worth with this one. As with other products, this one is JPMA certified. The lower profile of the crib enables easy access to the infant and actively reduces the back strain on the parent. The height of the mattress is adjustable so that you can set it in accordance with the age of your child. The product is backed by a 5-year warranty. 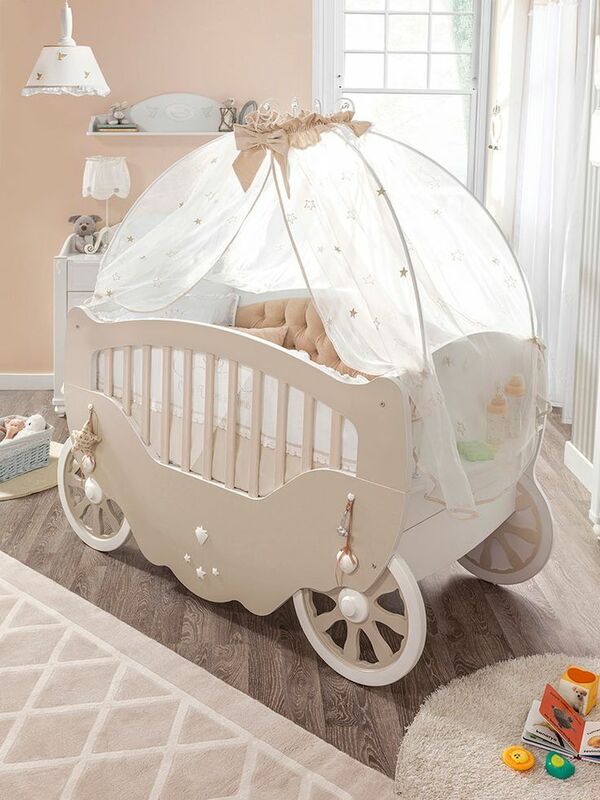 If you prefer somewhat traditional cribs, the Sorelle Tuscany is definitely the model for you. It looks good and resembles that Southern look that’s elegant, yet classic, at the same time. 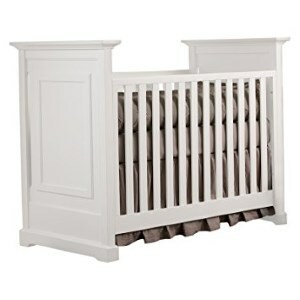 The white finish will enable this crib to go along with the interior design of any room. It’s one of the best choices for a girl. The unit was crafted from solid birch wood and can convert to a daybed, toddler bed, as well as a full-size bed with the right tools and accessories. It also comes with a four-position height-adjustable spring system. Most of those who have bought this product say that it is a beautiful addition to their baby’s room. If you’re a fan of modern design, perhaps this crib should be right up your alley. It comes with a custom-fitted mattress, as well as a conversion kit that you’re going to need to turn this crib into a toddler bed. The low-height profile and the uniquely developed acrylic sides will let you see just what is happening with your baby at all times. Also, the height of the mattress is adjustable, and you can set it in two positions. 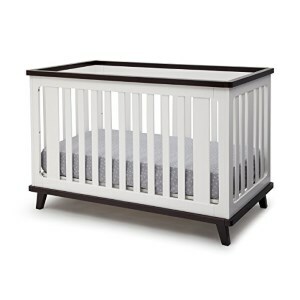 Since it meets both the ASTM and the CPSC standards, it’s pretty clear that this crib is safe to use. Moreover, it was made with eco-friendly wood sources. 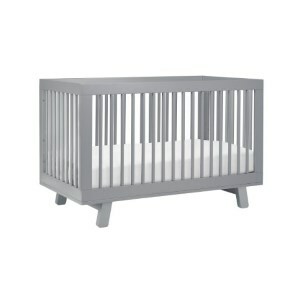 The timeless and sleek design of this crib can take your baby’s room to a whole new level. 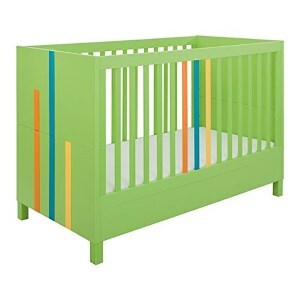 Having been uniquely developed to fit both genders, this particular crib is both sophisticated and simple, at the same time. It’s available in two colors; grey and white. You can set the height of the mattress in this crib in three positions. As with other products, the mattress is not included in the deal. However, this model is compatible with the standard mattress size you’ll come across if you want to get one at any retailer. The Chesapeake Classic is certified by the JPMA and CPSC. One of the coolest things about this choice is that it can be assembled and disassembled with ease. That doesn’t mean that once you set it up, it will be less stable than you want it to be. The product is light and functional, at the same time. It’s certified by the CPSC USA and ASTM, and it contains no toxic finishes, chemicals, or any other substances that might hurt your baby. The rails of this crib were laminated, which means that you can wipe them clean both conveniently and efficiently. The only drawback we discovered is that it does tend to cost a pretty penny. If you appreciate minimalistic designs, then you should check out the looks of this crib. It is a versatile and eye-catching alternative for modern nurseries. That doesn’t mean that it doesn’t go well with traditional baby rooms, either, since its looks are adaptable. The neat thing about the Hudson model is that it was screened for over 10,000 chemicals and has been found to be clean. It’s made with New Zealand wood and contains no toxic substances and has no traces of phthalates or lead. It comes with the toddler bed conversion kit, so you’ll be able to make the most of it by using it even as your baby grows. 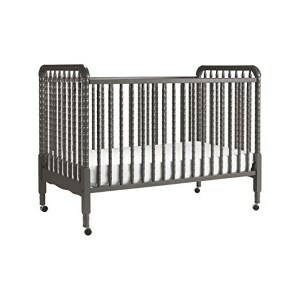 The best baby cribs are the piece of resistance when it comes to your baby. It is the place where he or she spends most of his time in the first months of life. Cool baby cribs should be comfortable, they should provide a healthy environment, be safe and functional, and why not?, look as good as possible. There are endless options at your disposal online and offline in the line of really cool baby cribs but how do you know which one to choose? Does the selection task make you feel nervous and feel like you could never make up your mind? You should know that the time has come for you to relax and focus only on what really matters so that making a choice might be easier than ever. This is the goal of this comprehensive buying guide we have created for you. We have made our research and have discovered the most important features that should characterize the best baby nursery furniture. All you have to do is read it, take the information you need from it and purchase a perfect product for sale in this category today. No more worries, no more time wasted without a valid reason, just a buying guide that offers you answers to important questions that every parent asks himself. If you were worried about finding the time to read all the information that might be relevant for your choice, you should know that this buying guide can offer you the data you need to choose wisely. Based on reliable customer reviews and the advice of specialists, we have included the top features to consider in the case of cool baby cribs for infants. 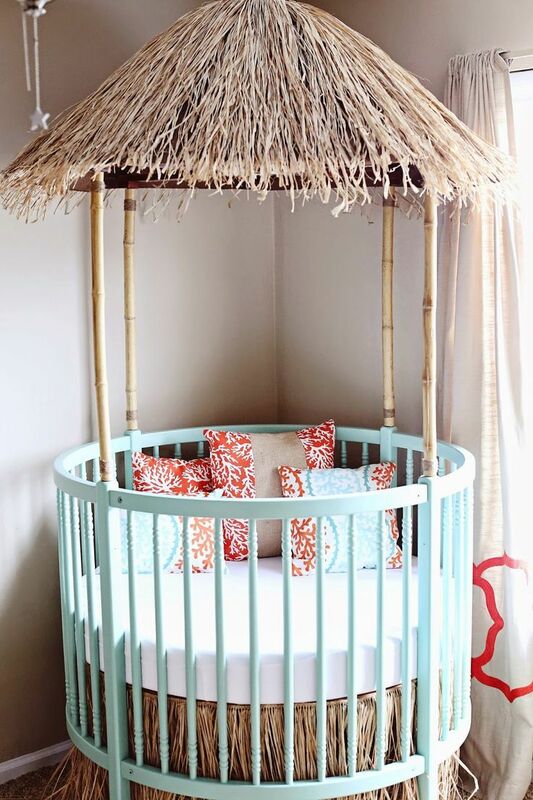 It goes without saying that the materials used for creating cool baby cribs for infants are very important. The quality of the used materials is an important factor that influences the durability and strength of your baby’s bed. Therefore, if you want to choose the best bed for your baby, you need to pay special attention to this aspect. If you can compromise on other issues, you should definitely not compromise when it comes to the quality of the used materials. These are the ones that influence the durability, the stability and the resistance of the crib. The best recommended materials for baby cribs are wood and iron. These two options are not only very durable but they also feature an attractive design. Modern baby beds which feature a solid wood frame are recommended because they are very durable and have the ability to cope well with heavy weight. Most beds with solid wood frames feature a pleasant, warm finish and can be made in various shapes and sizes. Beech, oak, ash, walnut or pine are some examples of materials used for manufacturing baby beds. Modern products that feature metal frames are just as good as those with wooden frames. These can last very well over time because the material used for their construction copes very well with all sorts of weight ranges. The main advantage in the case of the products that feature PAL frames is the low price they have. However, if you want to choose the best baby bed which will meet all your baby’s tests such as heavy jumping on the bed, a crib featuring a PAL frame is not recommended. If you need a bed for a child who has not yet reached the teenage phase, choosing one that features animated themes or various special shapes may be the right choice. A bed in the shape of a car or maybe a princess trap is what it takes for the little one to be attracted to his/her room and go to bed with pleasure every night. The range of models that are available in this category is very wide so you have a broad variety to choose from these days. From Lightning McQueen to Minnie Mouse, there are endless examples of cribs that your baby will love to sleep in every night. An important recommendation for you is to choose the bed according to the age and the weight of your infant. Generally, baby beds have specifications that tell you the age for which these are recommended as well as the weight they can support. The age and weight of your child are two very important factors because if you choose a wrong bed it is possible that your child’s comfort might be affected or ruined too early. 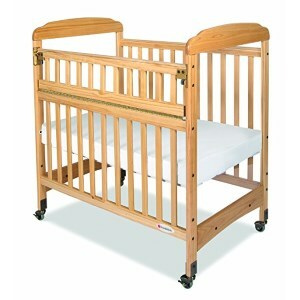 Unlike an early baby crib, the older baby bed no longer needs the same special safety features. If you want your child to enjoy a restful sleep every night, you should purchase a baby bed that is fitted with protective bumps or detachable sides. Also, when choosing a baby crib, it is advisable to select one that is built with removable side panels to protect and enhance its safety. When choosing the size of the baby bed, consider two aspects: the child’s height and the size of his room. A suitable bed for your baby will have the size required for the child’s comfort and will be in accordance with the size of the room where it is placed. Before you choose, you need to measure the space where the bed will be placed and keep in mind that the room still needs space for other pieces of furniture. Also, keep in mind that the bed should have the dimensions that are appropriate for your child’s height. Do not forget that, with the passage of time, your baby will grow and you will have to buy another bed if you have not thought about this before. Purchase a product that is a bit bigger for you to be able to use it longer.